I am a Post Doc researcher at the University of Massachusetts Amherst in the Climate System Research Center and Biogeochemistry Lab. I am a geologist, studying climate, limnology and paleolimnology, biogeochemistry, water isotope systematics, and diatoms. My research is primarily focused in the Arctic, but I also have ongoing projects in urban ponds and the Laurentian Great Lakes. I am particularly interested in applications of lipid biomarkers (GDGTs, diols, leaf waxes) and isotope ratios (D/H, 13C/12C, 15N/14N) for paleoclimate reconstructions. My research is driven by the need to understand the complex interactions between earth’s climate, biosphere, and human population. 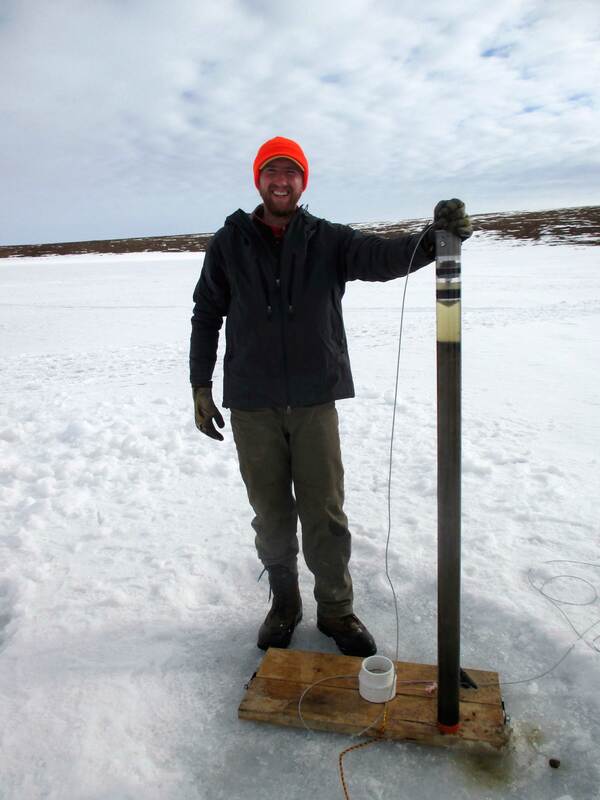 Lakes are wonderful integrators and recorders of the environmental changes going on around them. Their sediments often contain an archive of those changes, and by analyzing the mineralogy, biological and chemical fossils, sediment grain size, and other properties of the sediment, I aim to decipher those past changes. You can also find in this website my photoblog of field work, science updates, other random goings-on, as well as my CV. Vachula, R. S., Y. Huang, W. M. Longo, S. G. Dee, W. C. Daniels, J. M Russell. 2019. 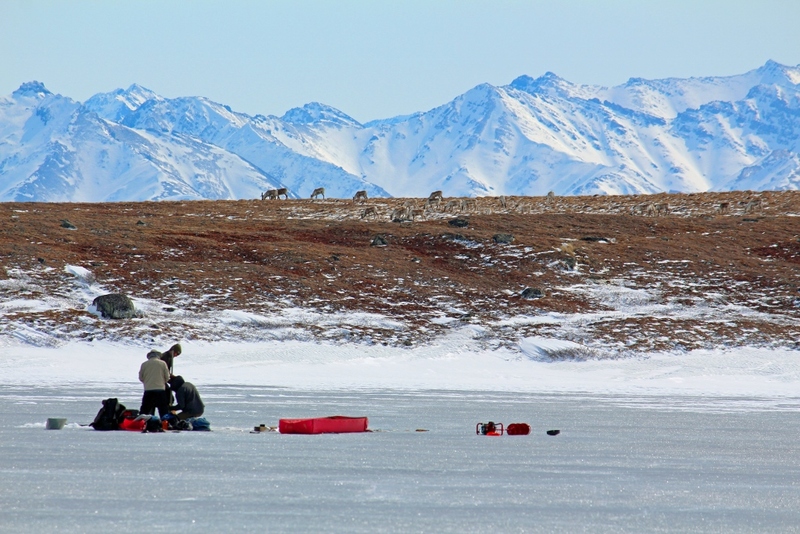 Evidence of Ice Age humans in eastern Beringia suggests early migration to North America. Quaternary Science Reviews 205: 35-44. Daniels, W. C., Y. Huang, J. M. Russell, A. E. Giblin. 2018. Effect of continuous light on leaf wax isotope ratios in Betula nana and Eriophorum vaginatum: Implications for Arctic paleoclimate reconstructions. Organic Geochemistry 125: 70-81. Daniels, W. C., J. M. Russell, A. E. Giblin, J. M. Welker, E. S. Klein, Y. Huang. 2017. Hydrogen isotope fractionation in leaf waxes in the Alaskan Arctic tundra. Geochimica et Cosmochimica Acta 213: 216-236. Daniels, W. C., P. M. Novis, M. B. Edlund. 2016. The valid transfer of Cyclotella bodanica var. intermedia to Lindavia (Bacillariophyceae). Notulae Algarum 14. Daniels, W. C., A. E. Giblin, G. W. Kling. 2015. Benthic community metabolism in deep and shallow arctic lakes during 13 years of whole-lake fertilization. Limnology and Oceanography 60(5): 1604-1618. De Stasio, B. T., M. B. Schrimpf, A. E. Beranek, W. C. Daniels, E. Hoyer. 2010. Dreissenid driving tests: going the “wrong” way in Green Bay, Lake Michigan? Verh. Intern. Verein. Limnol. 30(10): 1540-1544. De Stasio, B. T., M. B. Schrimpf, A. E. Beranek, W. C. Daniels. 2008. Increased Chlorophyll a, phytoplankton abundance, and cyanobacteria occurrence following invasion of Green Bay, Lake Michigan by dreissenid mussels. Aquatic invasions 3(1): 21-27.